'New', 'New Bulk', 'New Open Box', 'Refurbished', 'New Spare' and 'Renew' are all terms that we use to describe the condition of our products, but what does these terms mean? And what about the warranty*? 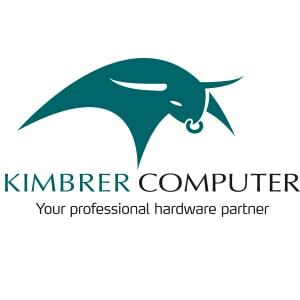 What you'll find below is a product condition guide** to help you better understand your options and make the best buying decision when shopping with Kimbrer Computer. A brand-new, unused, unopened and undamaged item in its original factory sealed packaging, unless otherwise stated in the product description or agreed upon in writing. Original protective wrapping, if any, is intact. New Sealed products include all original parts, accessories, manuals and additional features (if applicable). A new, unused item with or without its original retail packaging. New Bulk products could be pulled from a common inventory that was dismantled for parts, and may be packaged and sold in bulk (multiple units in one box). Additional components or accessories may or may not be included. New Open Box items are usually customer returns or cancelled orders. The manufacturer’s seal has been broken for a certain reason, and the packaging may sometimes show some signs of wear and tear, but the item itself is a brand-new, unused product in perfect working and cosmetic condition. All original parts and accessories are included (if applicable). A used and pre-owned item that has been thoroughly refurbished to "like new" condition by our in-house technicians to make sure everything works perfectly. Refurbished equipment may have minor blemishes or cosmetic scratches and come in plain, non-retail boxes, with all items placed in ESD materials. Non-basic components may or may not be included. New Spare is referred to new, remanufactured IBM and Lenovo maintenance parts and replacements such as disk drives, tape components, cables, power supplies, switches and everything in between. IBM and Lenovo spares come in original retail packaging - or with differences in the packaging design. All original accessories (if applicable) are included. A new, remanufactured HP product that are subject to HP’s own quality control. HP Renew products are usually factory surplus equipment or returned demos, that undergo an extensive HP refurbishment and testing process, ensuring they are fully restored to meet HP certified standards. These items come in original retail packaging with all applicable accessories included. *All warranties start from the date of purchase, unless otherwise agreed. **These guidelines apply to all product categories, unless otherwise indicated in the product listing.